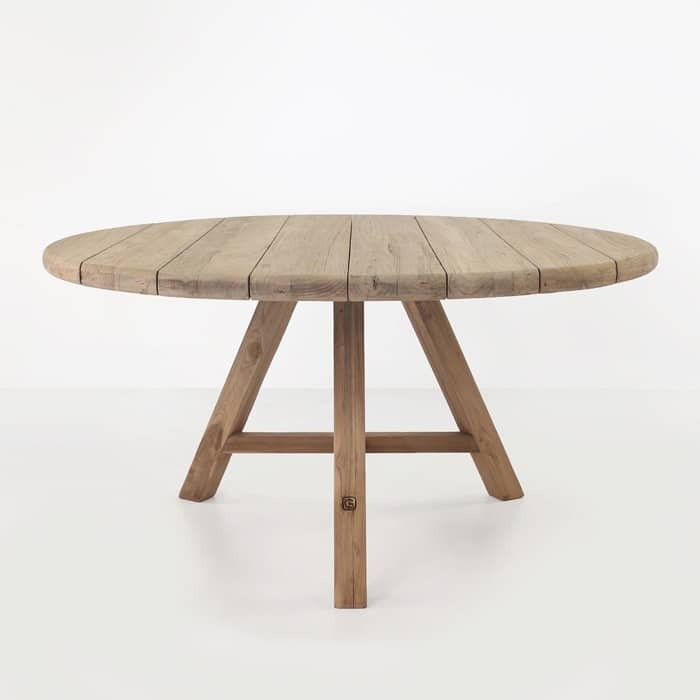 The Toni Reclaimed teak outdoor table is a bold, substantial outdoor dining table with soft curves and a round design. 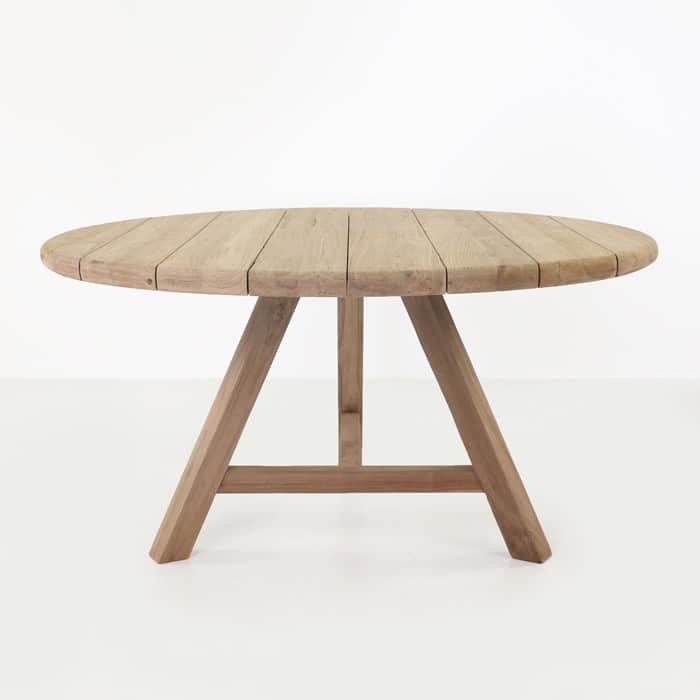 The robust round tabletop on this table makes it a scene stealing piece that draws conversation and still serves a functional purpose. 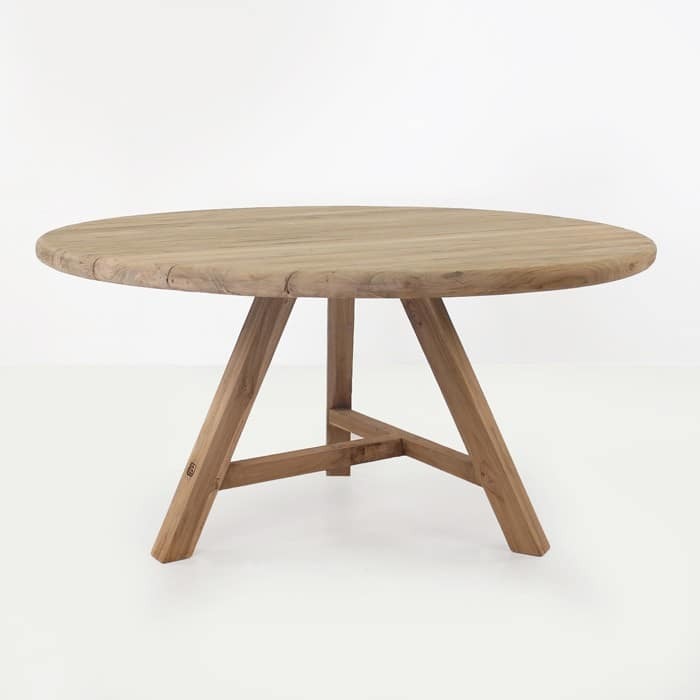 The gorgeous three leg design offers a unique look for an outdoor table, with the geometric offset design of the intersection of the legs. 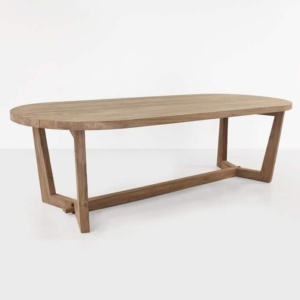 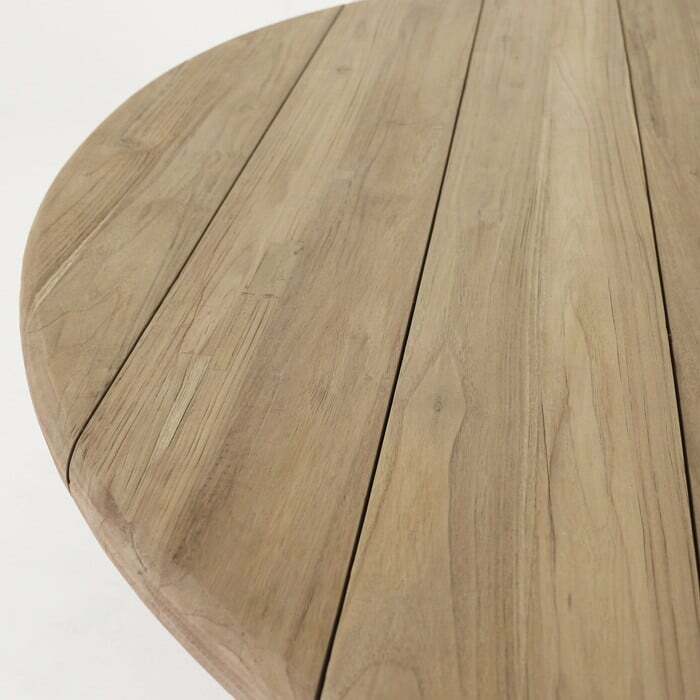 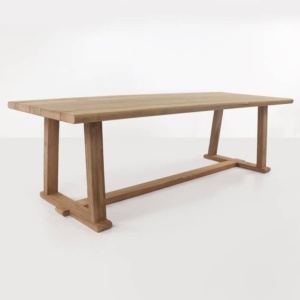 A fantastic combination of curves and angles and interloping sturdy pristine reclaimed teak, make this gorgeous table a must have for any space.